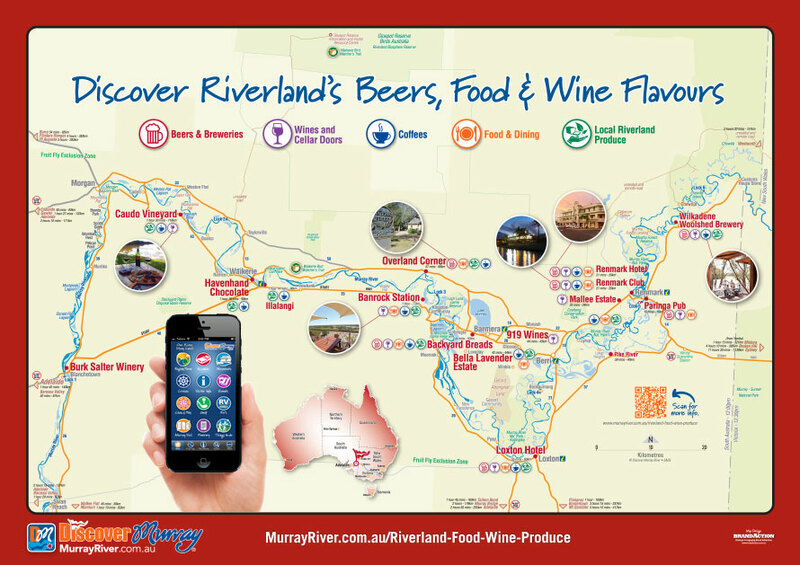 If your Destination is the Riverland you can discover the distinctive flavours right here! Whilst travelling along the Murray River you'll be enriched with the passionate Riverland food, wine and local produce culture. Nestled amongst one of Australia's few biospheres you'll discover we live and breath the essence of the food experience. From local markets to award-winning restaurants and cafes your taste buds will jump for joy as you discover the long and proud heritage and great foodies experience in a magical and serene environment. Coupled that with the amazing wineries and unique micro-brewery, the Riverland food experience is diverse and plentiful for all to enjoy and appreciate. The Riverland has a long and proud history of migration and some of the first grapes in Australia were grown in our region along with a passion for local organic produce. The origins and influences of the world allow the Riverland to have its own unique and distinctive style found no where else. With many tasting pleasures to enjoy our historical, natural experiences and landscapes allow you to really immerse yourself in our relaxed lifestyle. So enjoy your stay and by visiting the local businesses, purchasing their unique products and produce, understanding the stories you can recommend the incredible food, wine and produce experience of the Riverland to family and friends. Growing and processing business specialising in wattleseed products, in particular, Wattleseed Extract. Our Sticky Wattleseed Balsamic encapsulates a subtle undertone reminiscent of the Australian Outback and this has now been complimented by our Lemon Myrtle Olive Oil. Taste the flavours of the Riverland with our delicious range of Handmade Gourmet Wood Oven Bread, sliced into bite sized pieces and baked until crunchy and our full flavoured Gourmet Spreads. wine or a cup of our famous cappuccinos. local produce, delicious breakfasts and fantastic coffee. Great atmosphere for tourists and locals alike. 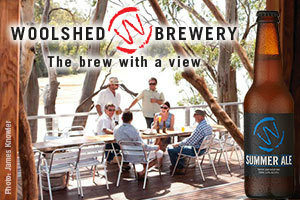 Launched in 2009, the Woolshed Brewery is a new Riverland-proud micro-brewery, producing batches of unique amber Amazon Ale. The brewery, housed in a refurbished shearing shed, maintains a distinctly Riverland character, right down to its name. Look out for the brew in Riverland pubs, clubs and anywhere where people have great taste in beer! Specialises in award winning fortified wines and table wines from new and emerging varieties. Come and taste the future. public holidays 10am to 5pm. Enjoy the Slow Food of the Murray River!